Need an easy, yet impressive, appetizer or a sensational side dish? 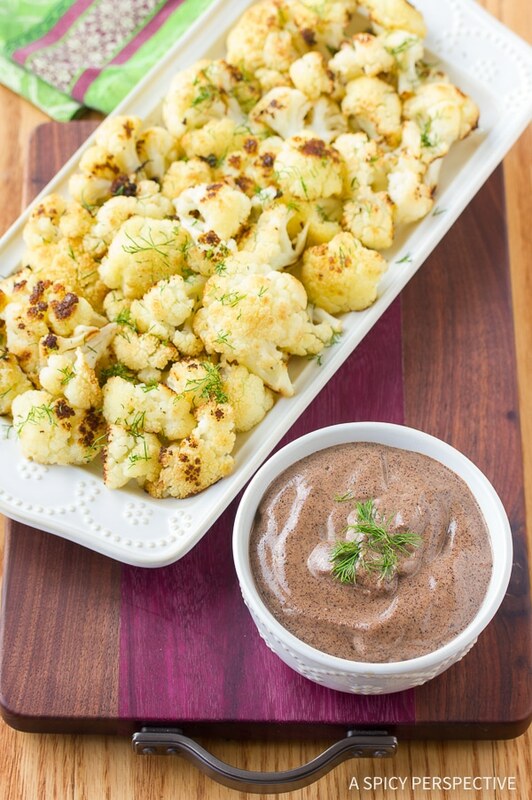 This multitasking Roasted Cauliflower with Tahini Dressing will knock your socks right off! Bear with me while I philosophize for a sec… I’ve been thinking lately about the concept of perception. Perception is reality. Or at least a person’s perception is their view of reality. If I see a situation in a certain way, that is the truth as far as I know it. It remains the truth, unless at some point my eyes are opened to another possibility. Under most circumstances, it doesn’t matter what my perception is. We all hold various opinions and most of us are happy enough to let others have theirs. Yet a problem lies when we have a perception that could be harmful to others, or others have a certain view that is harmful to ourselves. The “good intentions” of others can be dangerous. They can throw you off course, setting you on a path you were not meant to take. Listening to someone’s perception of who you are, instead of listening to your heart, leads to many missed opportunities. Think of it in the light of peer pressure. How many people have made stupid decisions because of what their friends said or did? It’s a delicate balance to stay open-minded and learn from others, yet not allow people to influence important life decisions. Cauliflower is one of those vegetables that usually gets a bad rap. It’s a veggie that most people think they don’t like, even if they haven’t tried it since the grade-school cafeteria medley of overcooked carrots, broccoli and cauliflower florets. Your perception of cauliflower may need a little “tweaking” and I would like to offer you the golden key to the door of cauliflower deliciousness. This Roasted Cauliflower with Tahini Dressing Recipe is A-MAZING. 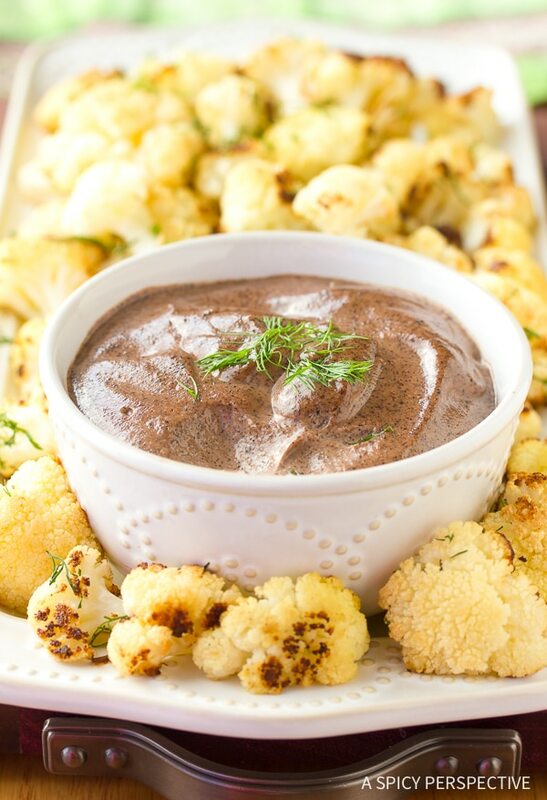 Tender cauliflower florets with crisp smoky edges, drizzled in a zesty creamy tahini dressing. The tahini dressing is a lovely amalgamation of nutty sesame paste, sumac, and fresh dill. Sumac, a popular middle-eastern spice, offers an earthy citrus flavor that brightens the tahini and compliments the dill. With a quick whiz in the blender the dressing is ready for drizzling or dipping. This Roasted Cauliflower with Tahini Dressing is a sure-thing. 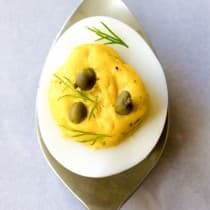 It works as an elegant first course, a casual party snack, or a delightful side dish with any protein. I would bet money your pickiest veggie eater could be swayed by this roasted cauliflower recipe! 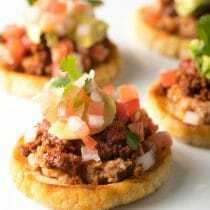 Find more on my Appetizer Pinterest Board! Need an easy impressive appetizer or a sensational side dish? This multitasking Roasted Cauliflower with Tahini Dressing is healthy and addictive! Preheat the oven to 425 degrees F. Spread the cauliflower florets on a rimmed baking sheet, in a single layer. Drizzle with oil. Sprinkle with salt and shake the pan to coat with oil and salt. Roast in the oven for 25-30 minutes. Shake the pan once or twice to turn the florets. Flip the stubborn florets with tongs. Meanwhile place all the ingredients for the tahini dressing in a blender. Purée until smooth. If the dressing is too thick, add another 1-2 tablespoons water. Serve the roasted cauliflower warm. Either drizzle the tahini dressing over the top or place in a bowl for dipping. I can’t find sesame paste. Could I substitute Tahini? I’ve looked in a few stores around me, including a big Asian market. Also, when I google it online to buy, it only shows Tahini. Thanks! Yes they are the same thing. Happy Cooking! 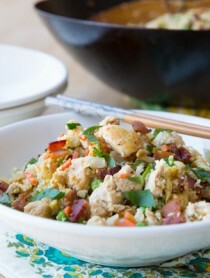 Thank you for your great article on Cauliflower recipes. I really appreciate your work on that one. Cheers, Hendrik. I am so into cauliflower right now – can’t wait to try this recipe! I love roasted cauliflower! ;) Sommer, I enjoyed reading your whole post! Many moons ago I had a Lebanese friend. Once a year the parents would come to the states and Mom would cook the most beautiful and amazing dishes. One dish she made was cauliflower with tahini sauce. I can still remember the flavors and fragrances from that dish. I have always wanted to recreate the dish. Your recipe is what I have been needing. The dill was left out since it was not in the dish Hoda made. There is nothing like roasted cauliflower. When you add the sauce it is more delicious! Poor old cauliflower – too often it gets a raw deal and ends up being boiled to tasteless grey mush. Not anymore! Love this recipe and the flavour of the tahini, and it looks beautiful too. What happy-looking cauliflower! I am totally trying this! Super Creative! I’m already a cauliflower lover so this is perfection to me! I love roasted cauliflower and this dish sounds so good! 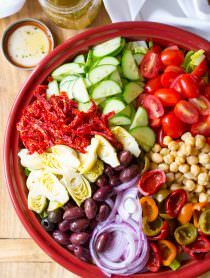 The tahini dressing sounds like something I could eat with all roasted vegetables! Love cauliflower and this looks like a winner of a recipe–I happen to have a cauliflower in my fridge. But do you mind if I tease you a bit? “Bare with me” and “Cauliflower … gets a bad wrap.” If I bare with you, it’s I that will need a good wrap! 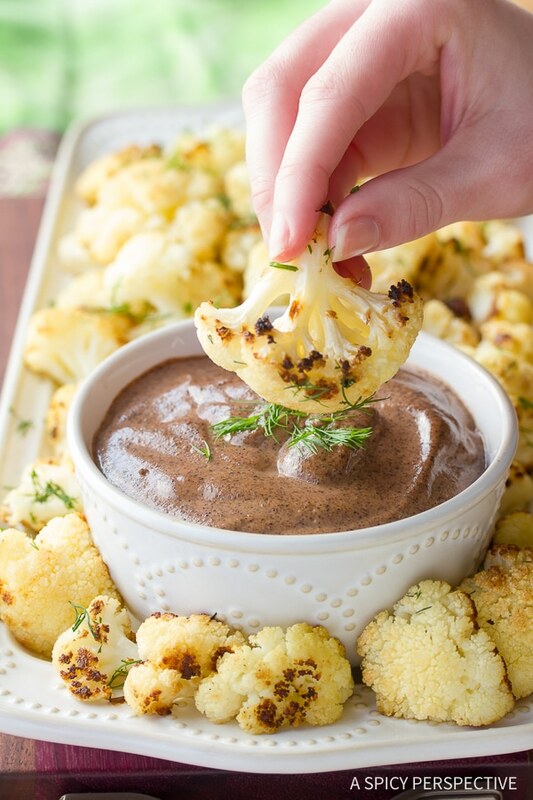 Cauliflower + Tahini = heaven! I loooove both things and putting them together is just brilliant! What a lovely and healthy recipe! Roasted cauliflower is one of my favorites :) Gorgeous clicks. I always for get about cauliflower even though I know how delicious it can be when prepared right, say, roasted with tahini dressing. Thank you for the reminder on missed opportunities. I just love roasted cauliflower! 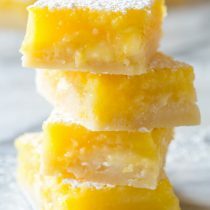 What a wonderful recipe! I love roasted cauliflower and I was just wondering what to do with all of the tahini I have! This is perfect! I adore roasted veggies and these look so incredibly good! Your thoughts on open-mindedness are great too, it is hard but something to always remember! Seriously, I’ve read just a couple of posts today from friends, this obviously being one of them and both spoke to me. I love when that happens. I had a little talk with myself about the same exact thing this morning. So true Sommer – I’ve been experiencing a lot of what you’re talking about lately. I am learning to stay true to myself and just go with my gut instinct. Of course, I am open to hearing what everyone has to say, but sometimes you just need to take it with a grain of salt. 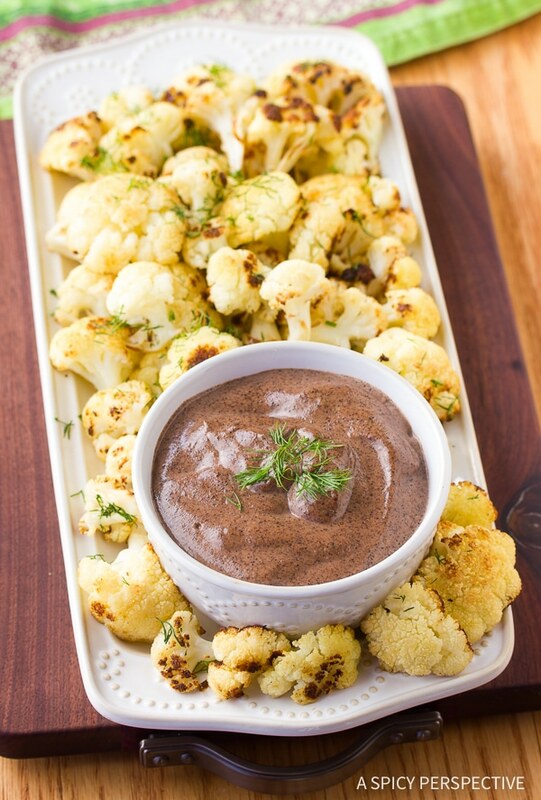 As for this cauliflower recipe, my kids love roasted cauliflower, but I will have to give this tahini dressing a try. i’ve always loved cauliflower…maybe it was something about it being doused in cheese sauce…? :) either way, love this post! and the tahini dressing is going to be a staple now. watch out pantry, here i come! Loved this post, Sommer! You know, I try to think for myself as much as possible, but sometimes that doesn’t happen (which can be good and bad). 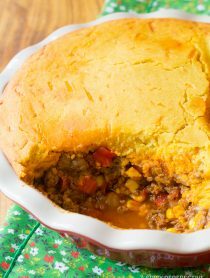 Cauliflower is my favorite (has been since I was a kid) so I adore this recipe! I am so glad I found this recipe I have a sad Cauliflower sitting in my fridge for one week now, and finally I know how I am going to cook it! I love anything roasted and I JUST bought some sumac. Gotta try this! What a great way to prepare cauliflower! I have tahini leftover from making hummus and until now, no ideas on how else to use it. Thanks for the inspiration! I love the caramelization you’ve gotten on yours. It’s important that the oven be hot enough, and cauliflower uncrowded, or they will steam, rather than getting the lovely caramelization you’ve gotten. Roasted cauliflower is delicious on its own, but I bet the tahini dressing makes it totally amazing! Perception is just that – perception! This cauliflower is real…not perceived awesomeness, just real awesomeness. 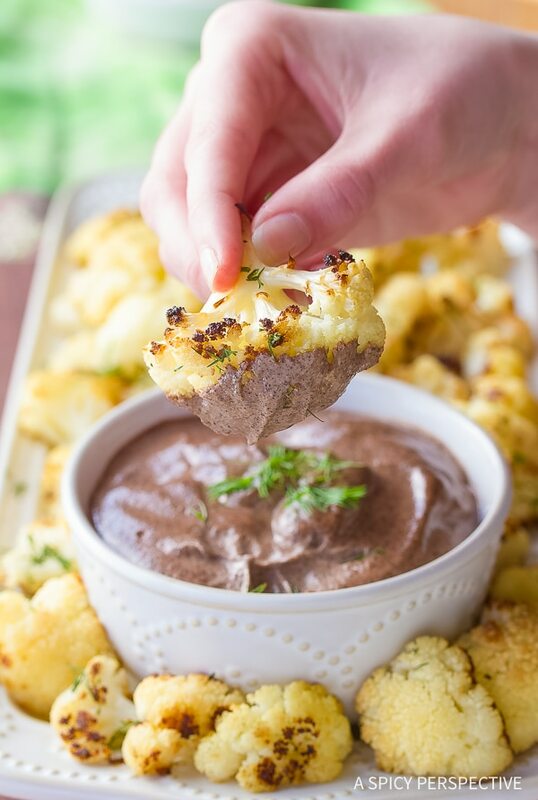 I love roasted cauliflower and this sound like perfection! Oh yum! This sounds absolutely awesome! 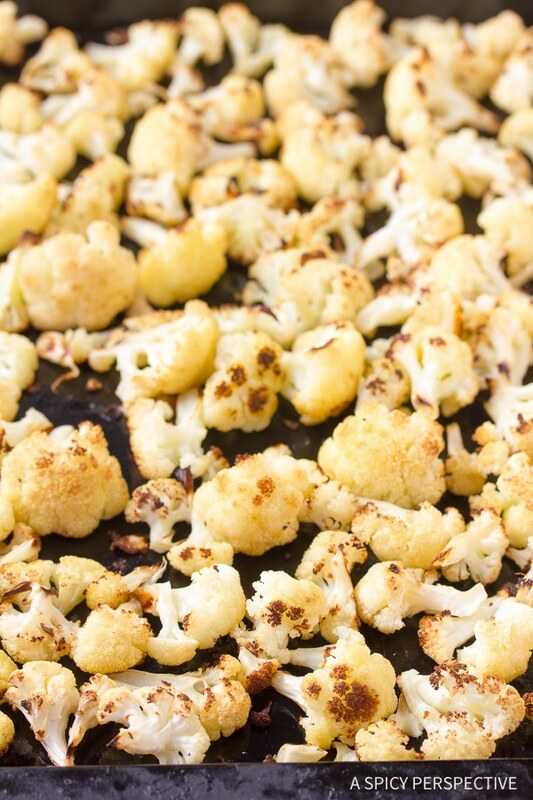 We have just gotten into roasted cauliflower…I love love it roasted! I bet with that dressing it is amazing! I really liked your post. It IS a delicate balance being open minded and to learn from others and our own mistakes. It’s easy to let other influence us, I think especially as a mother. It’s easy to let what others think of our parenting effect us. But as for cauliflower, I wish we ate more! We recently re-discovered it. My kids actually loved it. 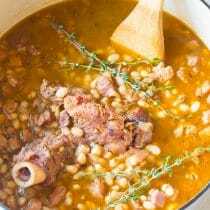 This will be a great new recipe to try!